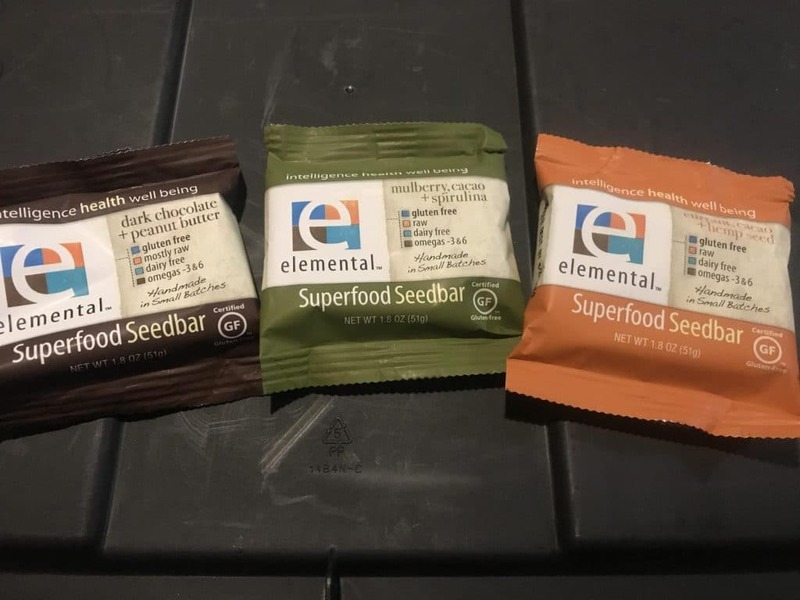 If you have been on the search for healthy, tasty grab and go snacks then you should definitely check out the Elemental Superfood Seed bars from Elemental Raw. This post is a sponsored post, but all opinions, stories, and my experience are all personal and true (like always)! These bars are made with wholesome organic ingredients and they taste amazing. I love having these stocked up in my fridge not only for me but also for my Husband and kids, they love them just as much as I do. I usually have several different flavors readily available in my pantry like Dark Chocolate + Peanut butter which is a favorite of everyone. This flavor is so rich and amazing tasting and are my go to when I want chocolate. This happens to be the kids favorite flavor so I have to make sure to stock up even more on these. I also the the Currant Cacao + Hemp seed bars. I was a little hesitant to try this one but man am I glad I did because this one is just amazing. I actually like to take this one and break it up in the morning to add to my oatmeal. I love that it’s full of EFA’s which are good fats that help to keep me full and energized all morning. Another great flavor is the Mulberry Cacao + Spirulina Seedbar, I also love using this one on my yogurt in the afternoons to give it more flavor. I love all these bars by themselves, they are amazing tasting and full of so many vitamins and nutrients that we need. I definitely love that my kids like these as I prefer these over the sugar filled granola bars we used to buy. I also love that they are made with organic ingredients, these do however contain tree nuts so if you are allergic to tree nuts these wouldn’t be good for you. If you are looking for a good wholesome snack that is quick easy and just taste amazing then I would suggest giving these bars a try, you will be amazed at how good they are. I actually carry a bar with me when I leave the house so that I have a quick easy snack right there so I’m not tempted to stop for fast food or buy a candy bar at the store instead I enjoy one of these bars of goodness.